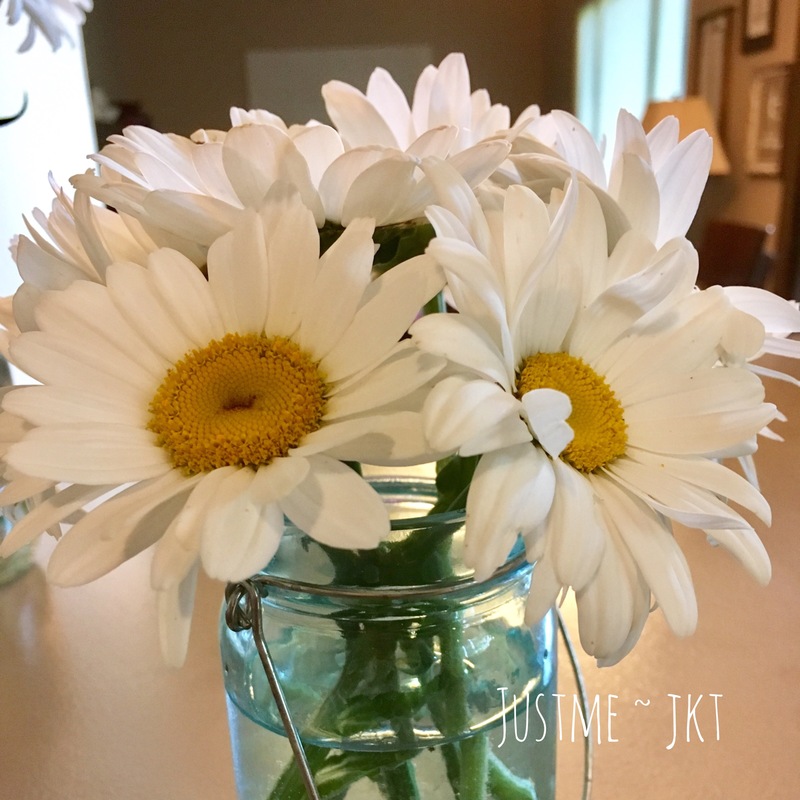 The daisies are blooming! The daisies are ready! Mid- to late-June we had a hail storm rip through all my hosta gardens. I am saddened and feel their pain! Mid-June: Hosta are huge. They are large and in charge. They are continuing to amaze me every time I walk outside. 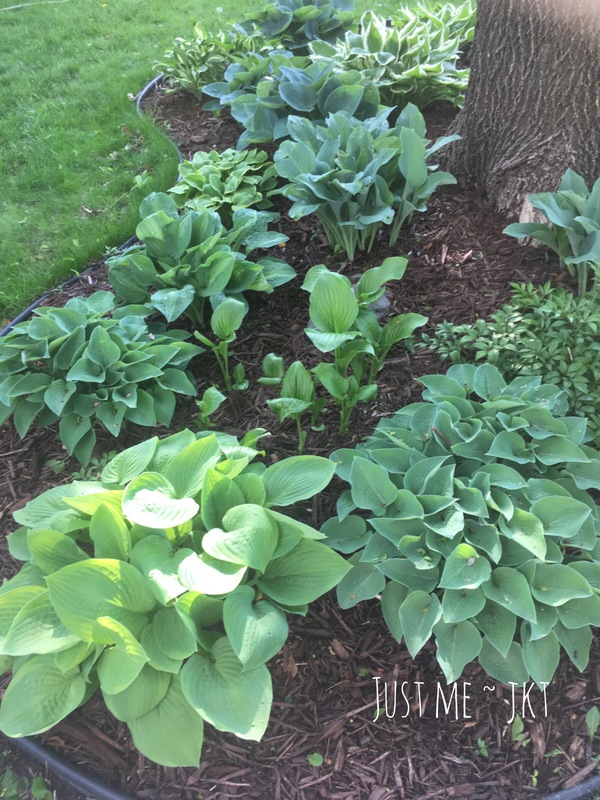 Mid-May: Hosta are loving the spring rains and warmer sun! Mid-May: These striped tulips are in full bloom! The animals appear to prefer the tasted of solid red tulips over stripes. 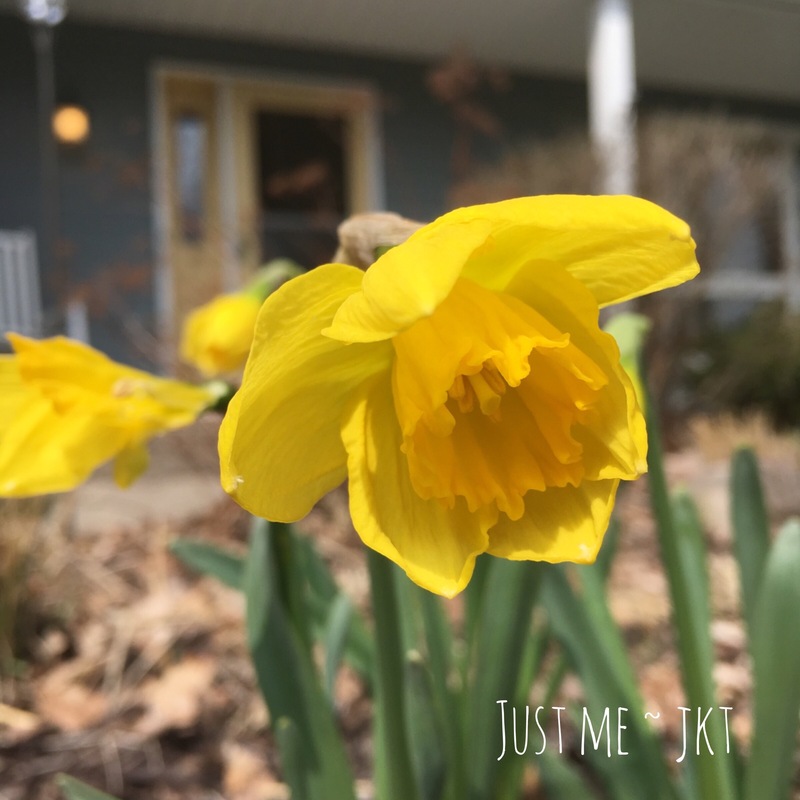 Mid-April: My daffodils planted last fall are a site in the brownness of the rest of the yard this time of year. August: Hosta flowers are so dainty-looking compared to the indestructable-ness of the rest of the plant. New word. Indestructable-ness.